Jeff was 6’5”, well built, and extremely handsome, reminding me of a Greek God with his curly black hair, deep brown eyes and a sculpted black beard. His smile and laugh were infectious and would brighten up any room. He was born in a small agricultural town in North Central California called Turlock, where melons, turkeys, nuts and wine were their major source of income. Blue Diamond Almonds and Gallo Winery’s corporate offices were just up the street in Modesto. His father, Glen, had a local State Farm agency and his mother, Janice, was a homemaker. He grew up with two older sisters, Shari and Sandra. Everyone knew everyone in Turlock. Jeff excelled in sports, playing basketball, football and track at Turlock High School. Upon graduating from high school in 1969, he went to Modesto Junior College in Modesto, California, where he became the only six-letter winner in basketball and football. The college also claimed, in 1993, at his induction into their Hall of Fame, that he still held the record for the most unpaid parking tickets. In his second year at Modesto Junior College, his lifelong dream came true. He was offered a scholarship to USC in Southern California to play football for Coach John McKay. His first year at USC was a real eye opener, especially coming from a small agricultural town. He struggled with his academics and the big city life. However, in his second year there, he came to life on the field and was moved to first string. That year, he received the 1972 “Most Improved Player” award from Coach McKay. His USC football team went on to become National Champions, winning the Rose Bowl in 1973 against Ohio State. Thirty three percent of the players were drafted to the pros. Jeff was second round draft pick (#32) and went to the Buffalo Bills. He played six seasons with the NFL. He loved the game and had a strong connection with his teammates. 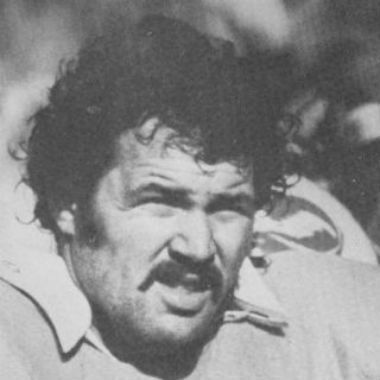 Jeff started nine games in 1973 as defensive tackle. A torn ACL took him out for part of the season. In 1976, Jeff was traded twice, first to the New Orleans Saints where he played only three games, and second to the Oakland Raiders with Coach John Madden. At that time, Madden decided to move him to offensive guard. An unexpected trade took him to Tampa Bay in 1977. Jeff fit in well at Tampa and McKay (his former USC Coach), kept him at offensive guard. December 12, 1977, after being 0-26, the Bucs won their first game against New Orleans. Jeff was back on his game but it was short-lived. In 1978 he sustained major back, neck and more head injuries–forcing him to sit out the rest of the season. The first time I saw Jeff, he was visiting some of his friends from Buffalo at the apartment complex I lived in in Clearwater, Florida. My roommate introduced us at a local bar June of 1979. We started dating and in August during an exhibition game, his foot was injured and he was waived by the Bucs. A few months later he was picked up again by The Oakland Raiders. By that time Jeff and I had fallen in love and he asked me to go with him. Our move back to California was an exciting one and we took up residence in Modesto. Jeff worked very hard and was back on track but in the 1980 Season, Jeff was injured with a crushed ankle. The Raiders went on to win Superbowl XV. July, 1981, after refusing to sign a waiver on his ankle and back, Jeff’s career as a professional football player ended. It was a crushing blow for him and I was thrown into the role of sole support of the family. Our talk of marriage was hard for him because he wanted to be able to support me the way he had in the past. Two months later a long weekend trip to Reno to see Smokey Robinson turned out to be a surprise wedding that he had been planning for months. We were married December 19, 1981. He was offered a job at Modesto Junior College, but embarrassed after three days, he had to quit. His headaches, depression and physical injuries from football took a toll on him. His Sleep insomnia became worse. He started seeing a psychologist, and we worked through the next few years. In 1984, things were looking up so we decided to try and have a baby. 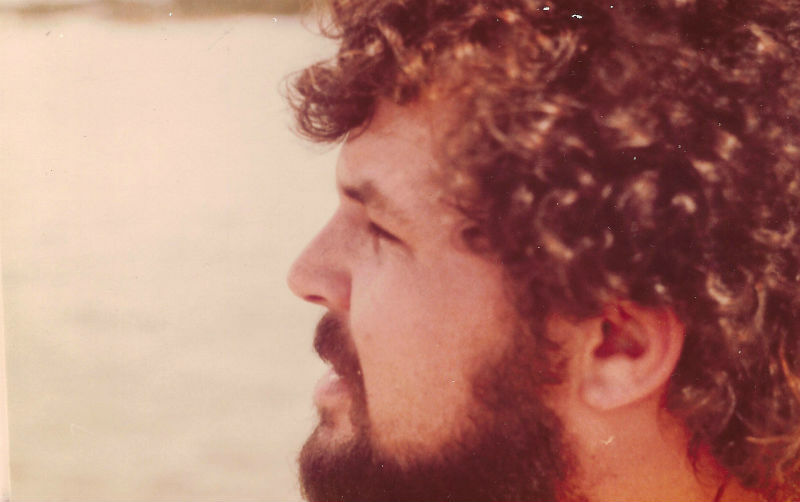 November of 1984, Jeff sustained a life threatening gunshot accident while we were moving and wasn’t expected to live. A few days later the blessing came when I found out I was pregnant with our only child Travis, born August 2, 1985, our greatest blessing. After multiple surgeries, infections and bankruptcy, the fall of 1988, we decided to move back to Florida. A few years later, Jeff’s right leg below the knee was amputated. He met Michael Reith with St. Pete Limb and Brace who fitted Jeff with a prosthetic and Jeff started volunteering with Mike, talking to other amputees. It was the first time in a long time I had seen Jeff so excited. In 1992, he founded Day For Our Children, Inc., a 501(c)(3) to help abused, neglected kids and families who fell thru the government cracks or whose children needed surgeries that insurance companies wouldn’t pay for. A year later, he brought Outback, GTE wireless, Continental Airlines and ASI Building Products on board as major sponsors. We didn’t know how to raise money, but Jeff knew golf and he started some of the first Celebrity Golf Events in the Tampa Bay area. We met Tom and Lisa McHale at a fundraising event in 1993. Lisa and I have recently shared those photos and reflected on those wonderful times. In 1996 he became President of the Local NFL Alumni Chapter and was able to recruit more former players in the area to join. He was an excellent president and I was so proud of him. But his headaches and back and arm pain, numbness, and insomnia continued. It was more than he could handle and in 1998 I took over as President of the foundation. Our son Travis started high school in 1999 and like his Dad, excelled in basketball. Travis was Jeff’s everything and he was able to work with him on his game and he was a wonderful father. By 2001, I was noticing more memory lapses, which I attributed to the prescription drugs he was on. Conversations we would have he didn’t remember which would turn to anger and frustration. His decision making and spending got out of hand and he began overdrawing our accounts. In 2002, he decided to get help and was diagnosed with Manic Depression/Bi-Polar and Borderline Personality Disorder. The Doctor put him on Lithium and Wellbutrin XL. It seemed to work for a while, and then he became more erratic with obsessive compulsive behavior making sure everything was in its place at all times. For a few weeks at a time, I would have my loving Jeff back and the loving wonderful man I knew. Then without warning, he would explode. He would have to write everything down four or five times. He would make plans and then stiff people. He became a recluse except for only a few close friends. We separated in October, 2005, and he moved back to California. We stayed close and I still worried about him all the time. April, 2007, our son Travis decided to move out to California to finish school and play football. I was so happy that he and Jeff could be together again and the family bond began to reignite. May of 2007, I was housesitting at my girlfriend’s home and came upon a TV show called HBO’s Real Sports with Bryant Gumbel. Bernie Goldberg was interviewing a young man named Chris Nowinski, author of Head Games, about his advocacy work raising awareness of the devastating consequences of sports concussions. As Chris described the symptoms and long-term side effects of multiple concussions and repetitive hits to the head, a large knot in my stomach took me back to the deadly emotions over the years that at that time, had taken my marriage to a point of no return. I began to question if the emotional and behavioral problems that Jeff had been experiencing most of our married life were not what I thought they were, but possible after effects of his eleven-plus concussions and repetitive hits to the head, from playing professional football. I needed to know more about these concussions, so I found Chris on the internet and emailed him. Within twenty-four hours, he emailed me back and we set a time for a phone conversation a few days later. I told him about our story and that people have no idea what the families go through. He encouraged me to come to Washington DC for the Press conference and hearings. I was shocked to find so many other families going through the same thing. Over the next three years, I became a sponge learning about concussions and I knew it was God that directed me to that HBO channel because if it hadn’t been for Chris’s interview, I never would have thought that Jeff’s problems could have been attributed to concussions. In 2010, Travis moved back to Florida and Jeff and I started to re-kindle our romance. I was able to get Jeff into rehab at The Summit Recovery Lodge in Utah, June 2010. It was there Jeff found his spirit again. February 2012, Jeff flew here for a visit. He decided to make the move back to Florida. Travis was so excited to have his Dad back here. We both missed the family unit and our love for each other was stronger than ever. October 2012, on a two week visit with him in California, we decided to tell Travis we were back together and made plans to remarry, March 2, 2013. But God had a different plan and on December 21, 2012, he took Jeff home. He was the love of my life; a kind, sensitive, loving man and my best friend. I know when he passed there was love, peace and joy in his heart. My goal now is to educate, promote the research and help as many families as I can. It’s an honor to share our story and I want to thank Chris for all the hard work and forming the Concussion Legacy Foundation. Together we are one. To learn more about Jeff and Brandi’s story read Brandi’s memoir, The Flip Side of Glory, on Amazon, Kindle and Nook.